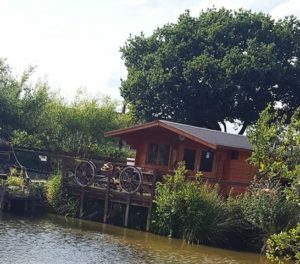 When a Wigan woman had a dream to transform her farm into a haven for people living with Alzheimer’s and dementia, it inspired a whole host of individuals and companies to get involved to make that dream come true. Those businesses included a Liniar window fabricator – but surprisingly it wasn’t windows or doors that JJ Harrison PVC contributed to the cause. A family run business with more than 20 years of experience, JJ Harrison PVC manufactures and supplies an impressive range of glazing products to domestic and commercial customers across Lancashire and the company has built an enviable reputation for high quality and a superb service. When Nicola Harrison, JJ Harrison’s Company Secretary, heard about the farm project, she didn’t hesitate to get involved. “My friend, June Doorey, and I had horses that we moved to Hope View farm,” said Nicola. 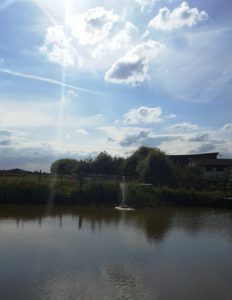 “We both became good friends with the owner, Christine Dickenson, and when she told us about her ideas for a sensory farm we were very eager to help. “My daughter is a mental health nurse, so I know just what awful illnesses Alzheimer’s and dementia are. “This is a very worthy cause and I just had to be a part of it. After all, you never know when someone in your own family might be affected by it. Twelve months ago, Nicola formed a committee with Christine and June, to raise money and awareness to get the project off the ground and enable them to invite groups and individuals to the farm. Nicola became the treasurer while also taking on responsibility for organising fundraisers and building work. One year later, and with funding from Wigan Council and the Lottery Fund, as well as numerous other generous local companies, Hope View Sensory Farm has been officially opened for business. In that time, a new toilet block has been constructed and the pond has been remodelled. 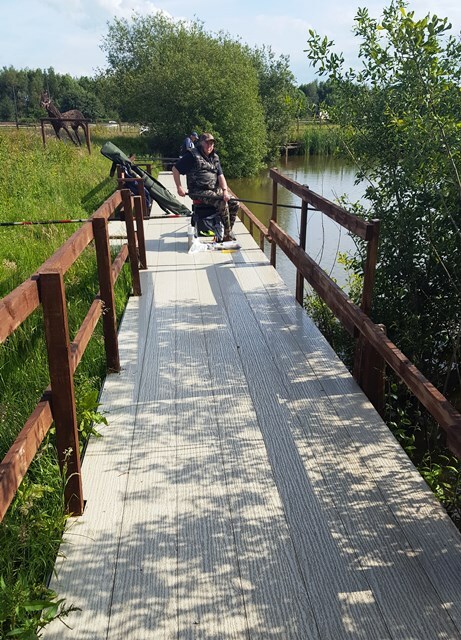 Nicola’s husband John, a Director of JJ Harrison, has also built a beautiful log cabin as well as an easily accessible fishing pontoon that would be suitable for wheelchair users. And it’s the construction of the pontoon that led to Liniar’s involvement. “As Liniar customers, we knew all about the decking range that they offer. We needed something hard-wearing, non-slip, low maintenance and easy to install – plus, of course, it needed to look nice,” said Nicola. “I approached Mark Sims, one of the Sales Directors at Liniar, to see if they could help us with the cost and he was happy to oblige. 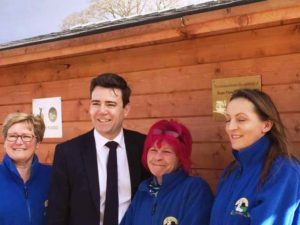 The Right Honourable Andy Burnham, Mayor of Greater Manchester, officially opened the farm and the local community is already reaping the benefits. “Research has shown that visits to a sensory farm can enrich the lives of adults with dementia and Alzheimer’s,” said owner Christine. “The same can be said for the elderly. The farm means that they can enjoy the outdoors rather than being stuck in a chair all day. 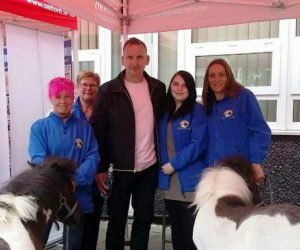 The Hope View team meet actor Christopher Eccleston on a recent visit to Salford University. They were invited by Professor Innes, head of dementia research, to make a presentation about the sensory farm. 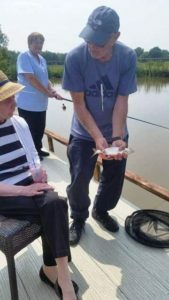 “Our priority is to provide the kind of stimuli that will enrich the lives of adults and carers alike. Click here to find out more about Hope View Sensory Farm. Find out more about JJ Harrison PVC and the services they provide here. For more information about Liniar’s decking range click here or call 01332 883900.